I made cauliflower and artichoke soups two ways recently and they were both good. But this past week I think I made the best soup I’ve EVER made. Don’t let the plain appearance deceive you. The flavor ROCKS. 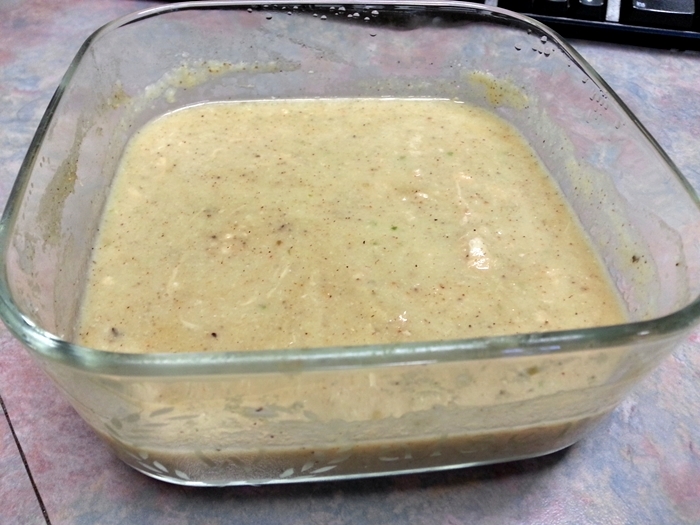 My plan was to make the roasted cauliflower and artichoke soup again, like I had before. But after I had the cauliflower in the oven and was pulling out the rest of my ingredients, I discovered I didn’t have any artichoke. Doh! So I improvised. I sautéed the onion, peppers, and garlic paste on the stove over medium heat until the onions were translucent. 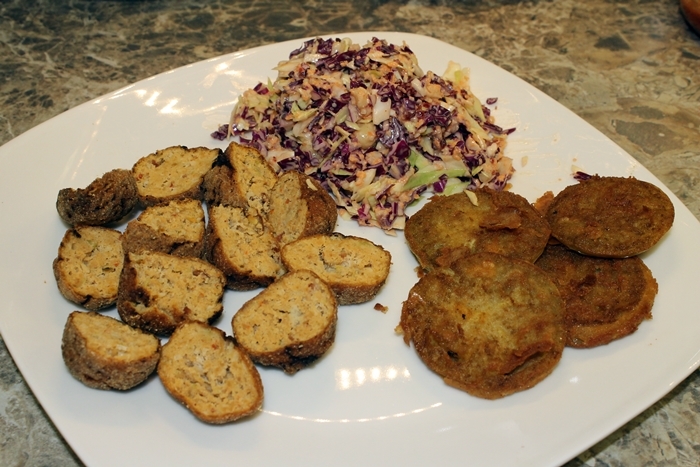 Once the cauliflower was roasted to my liking (30-40 minutes at 400) I placed all the onions and cauliflower into my food processor. I added the box of mushroom soup and about a cup of water. 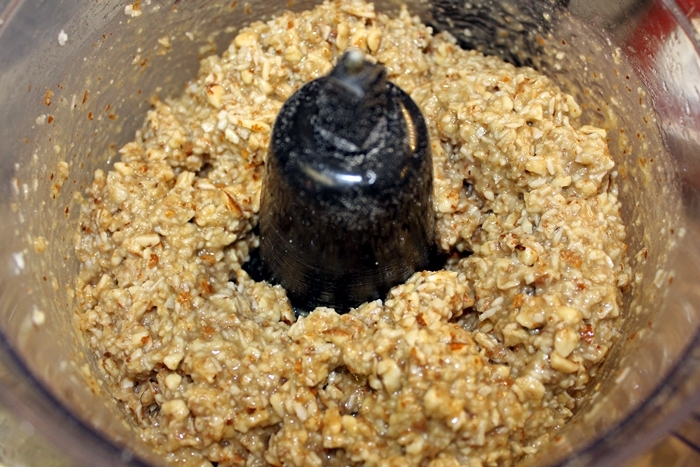 I blended it until it was close to smooth, adding more water incrementally. I could not get a truly smooth consistency in the processor so I moved the mix to a saucepan and used my KitchenAid stick blender to further puree it all until it was creamy the way I wanted. Then I added the can of chicken and mixed by hand to incorporate it. 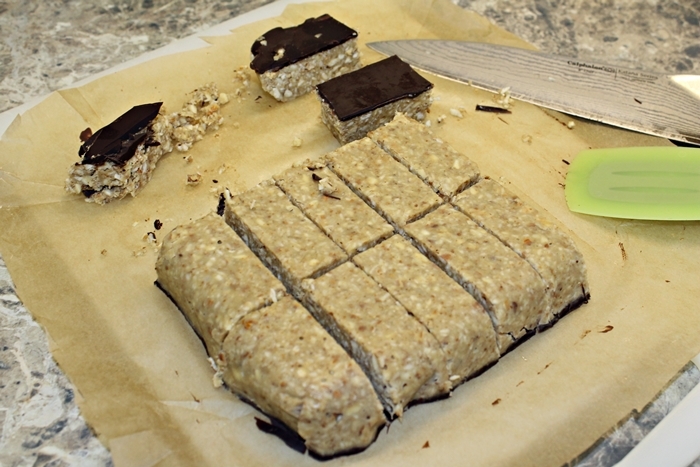 These snacks bars from The Paleo Mom are the bomb. 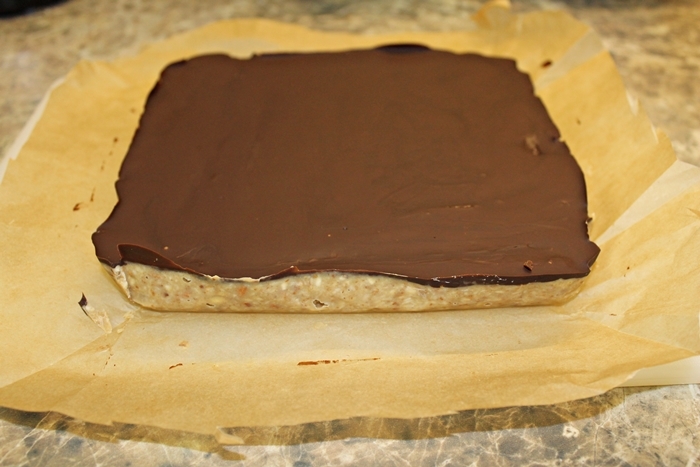 I can’t remember if this recipe for Almond Coconut Bars popped up on my facebook newsfeed somewhere or if I was already following the blog. Regardless, I saw it, and I instantly thought = sweet treat for Don. Surprisingly, they don’t taste like a dessert item like I thought they might. They strike me more like a granola bar. And a small piece goes a long way. I’ve been enjoying them as mid-day snacks for days now. 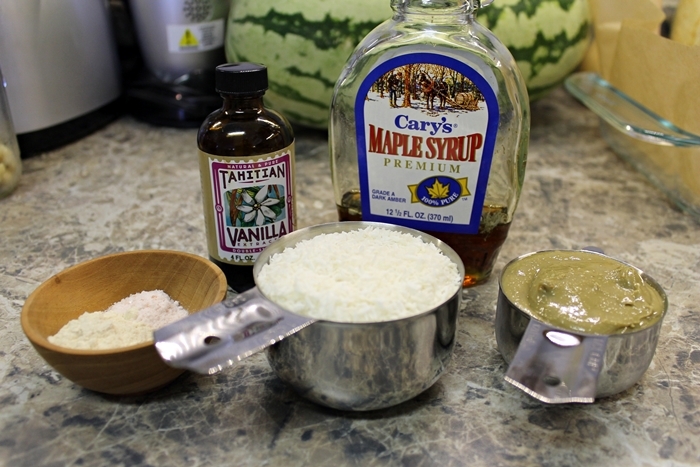 I made two slight changes to accommodate my supplies on hand – sunflower butter in the place of almond butter and maple syrup instead of molasses. Line a square dish with parchment or wax paper. 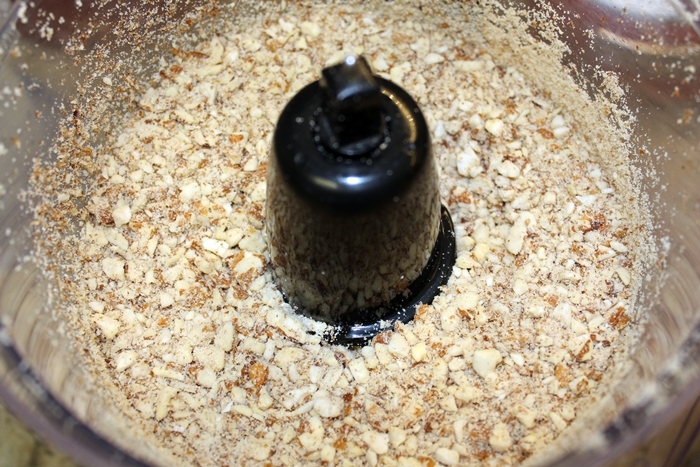 Pulse almonds in food processor to a medium-fine texture. 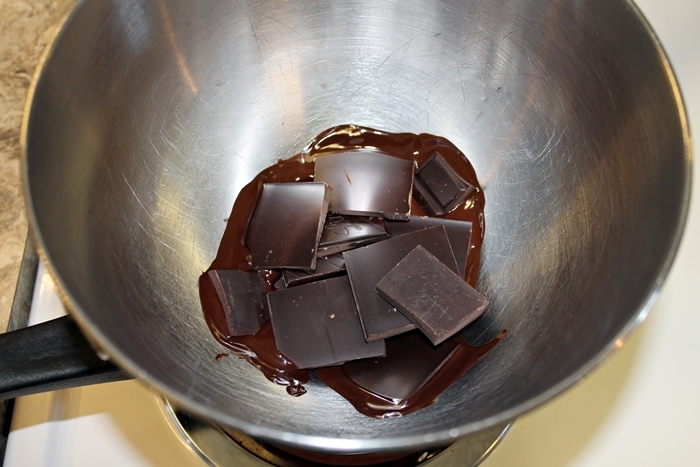 Add the rest of the ingredients EXCEPT the chocolate to the food processor and pulse. 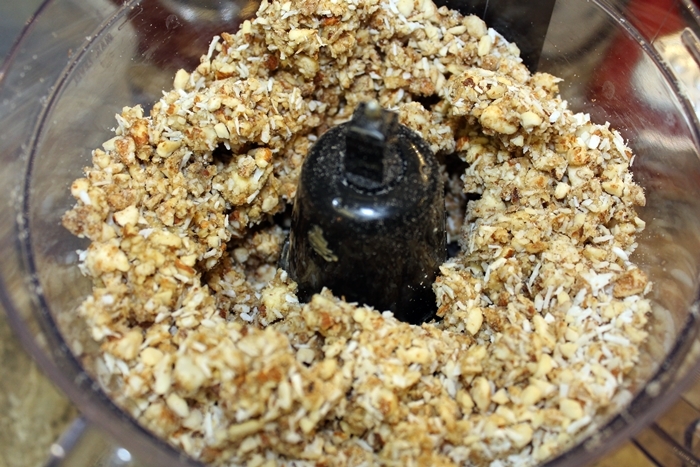 Mix a bit by hand to ensure full incorporation. 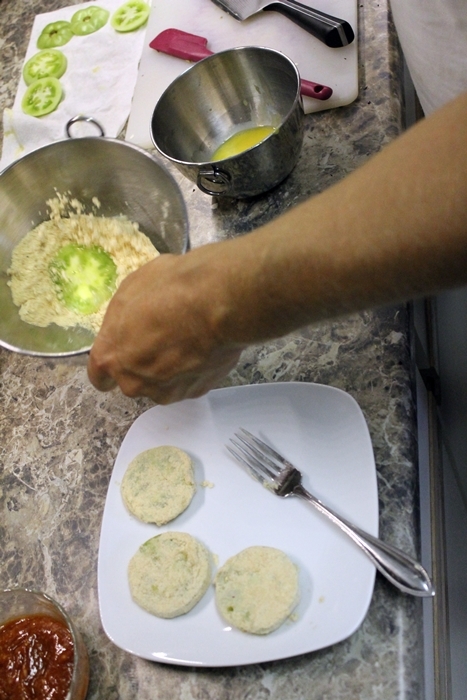 Pour into dish and smooth out to edges to fill the dish. Refrigerate until set – at least 1 hour. 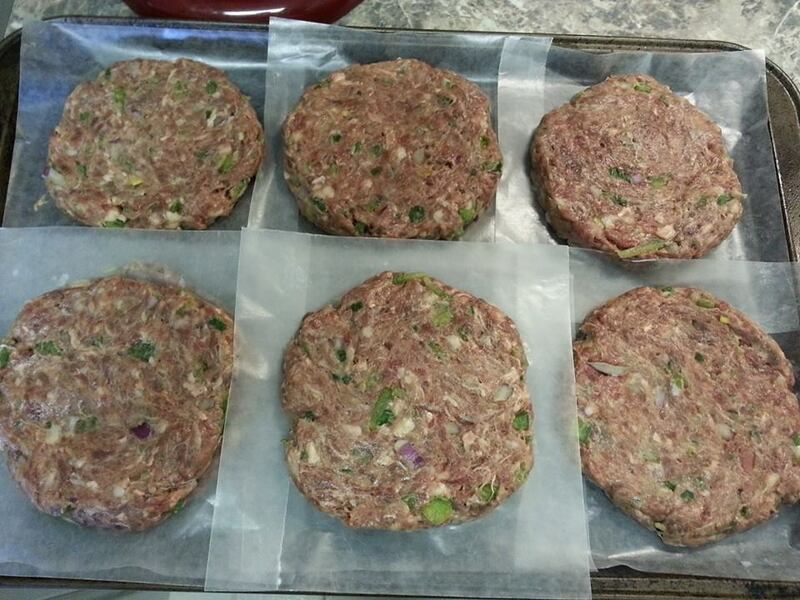 Cut into bars and store in a plastic container, in the fridge if you want them to be firm. I kept mine on the counter. My fridge was too cold and they were too hard for my taste. 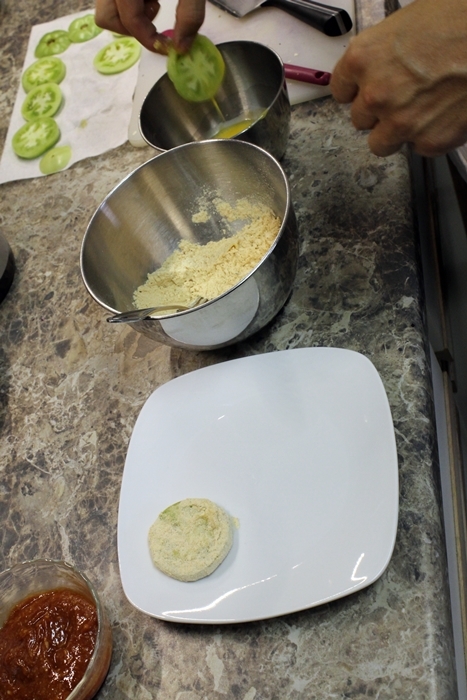 Coconut flour and salt on left; shredded coconut center; sunflower butter on right. 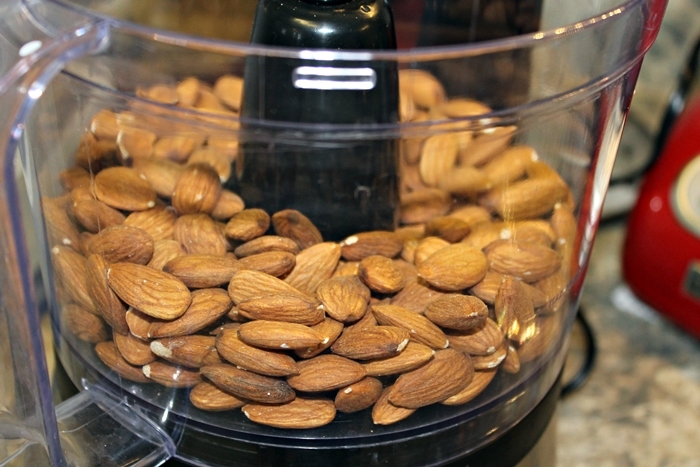 Almonds. About to be pulverized. See all the large chunks? I think I should have let it go longer. My bars flaked and broke apart easily and I think it was mostly due to the large chunks. 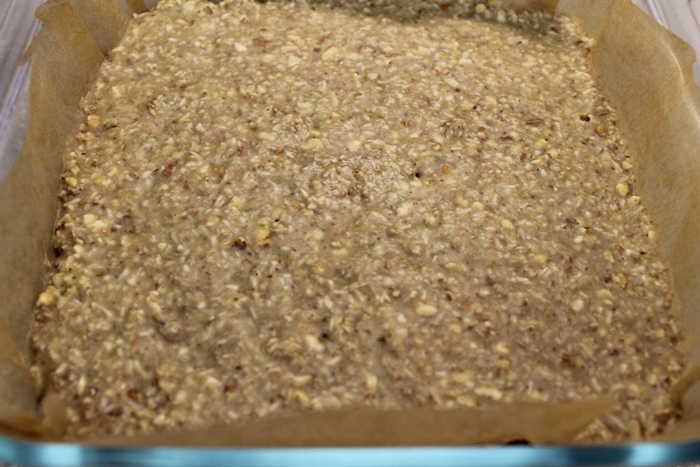 Here I’ve added the coconut flakes and other sundry ingredients. Only the coconut oil is missing. 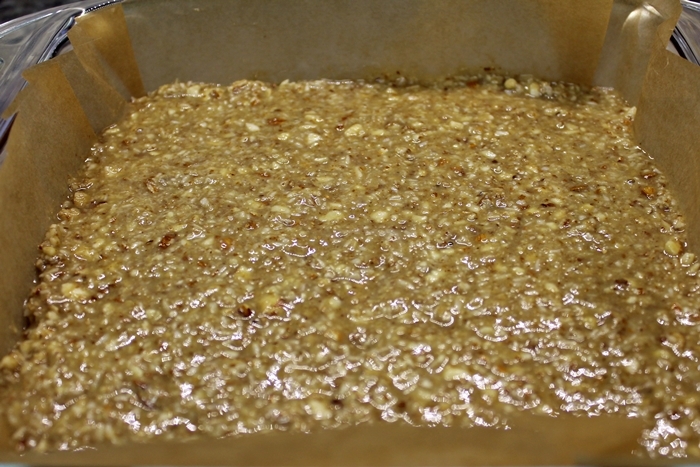 My pan is 8×8 so I believe my bars are thicker than Paleo Mom’s 9×9 pan. And into the fridge! 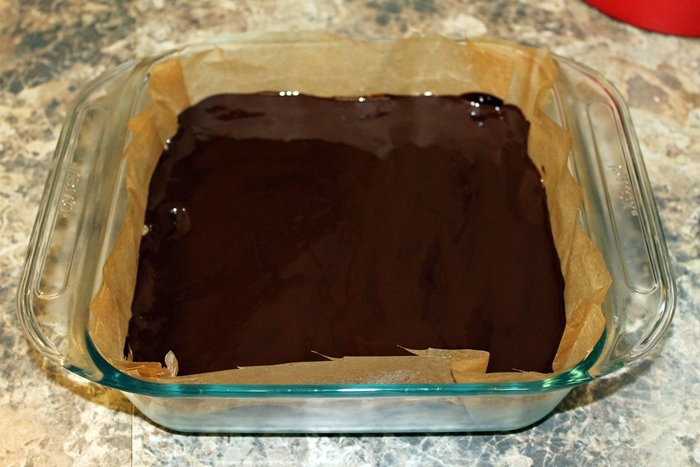 After letting the base firm up, I used my make-shift double broiler to melt my chocolate. Here’s a look after the base is firm. Here’s where I went all wrong. I missed the tip to only let it set for 5 minutes. I put it back in the fridge and went about other projects. It might have been there for another hour. Oops! 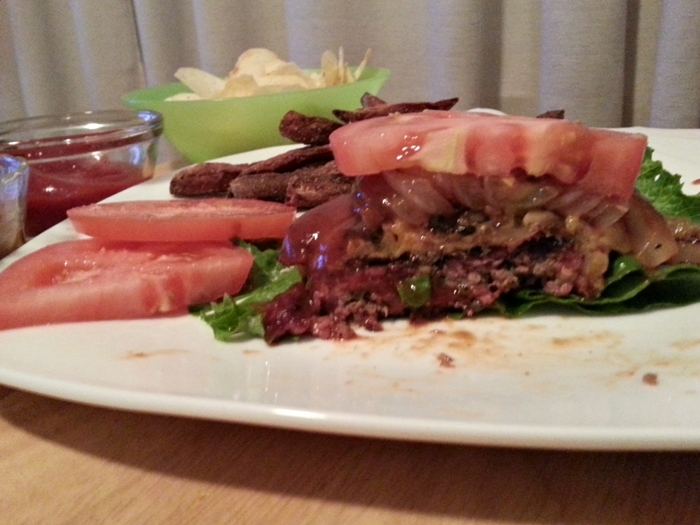 So…cutting it was a challenge. See that piece in the upper left? All jagged and crumbly? Yeah. I was getting a lot of that. I managed to salvage most of it by turning it over and cutting from the softer side first. After enjoying a few, in the end we cut them in half again from what you see pictured. They are quite filling and hold me over well between meals, especially during the workday. Don designed this creative masterpiece. I was suspect when he told me what he was thinking of doing. One of these days you’d think I’d just trust his instincts. 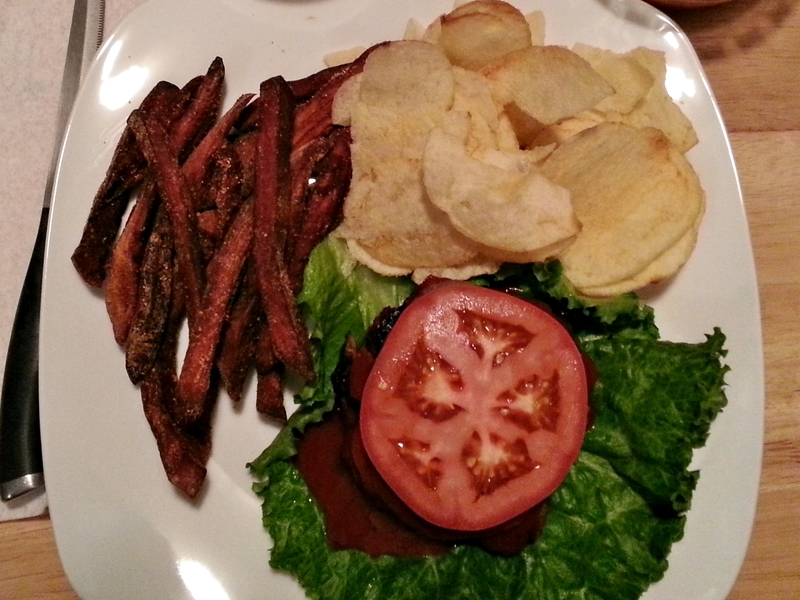 The man knows flavors and he knows his way around the kitchen. 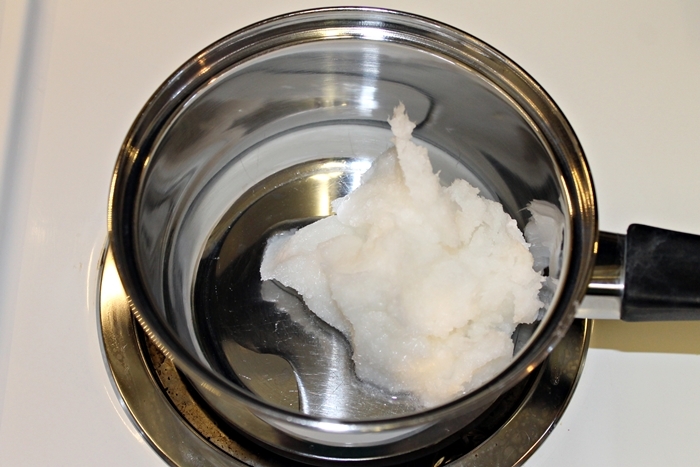 Wipe the inside of your dish with coconut oil. Use a food processor to shred your butternut squash and place in the bottom of the dish. 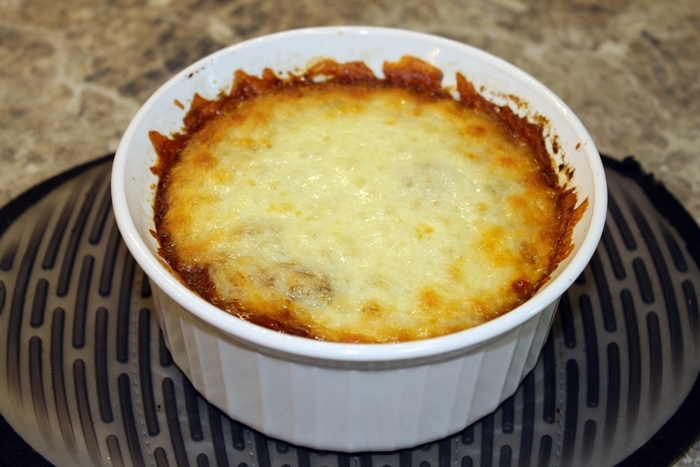 Top with a layer of mozzarella cheese. 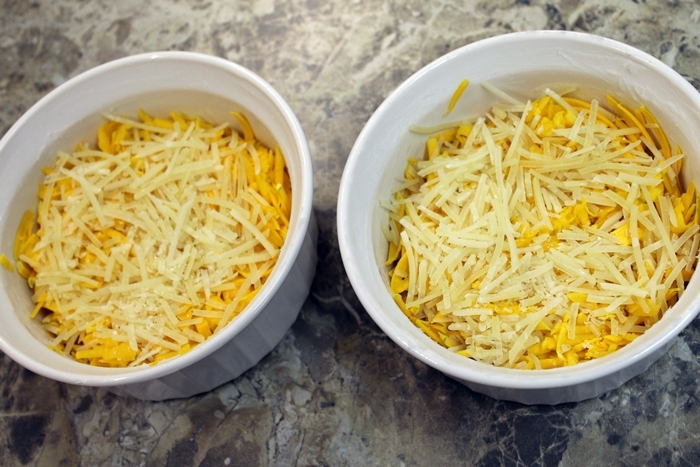 Bake at 325 for about 45 minutes or until your cheese is brown and bubbly. 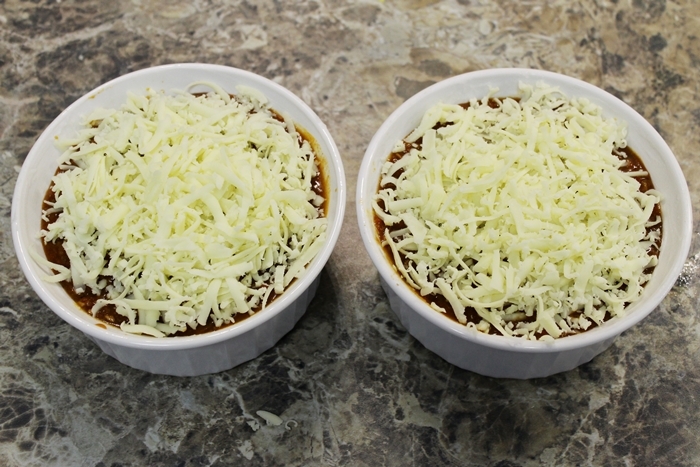 Don made mini lasagnas in a sense, using medium-sized ramekins that are 4.5 inches in diameter or 500 ml. They really were perfectly sized for individual servings. I was so uncertain about pairing butternut with tomato/spaghetti flavors. I thought for sure it would clash. Boy, was I ever wrong. This. Was. Mind-Blowing. 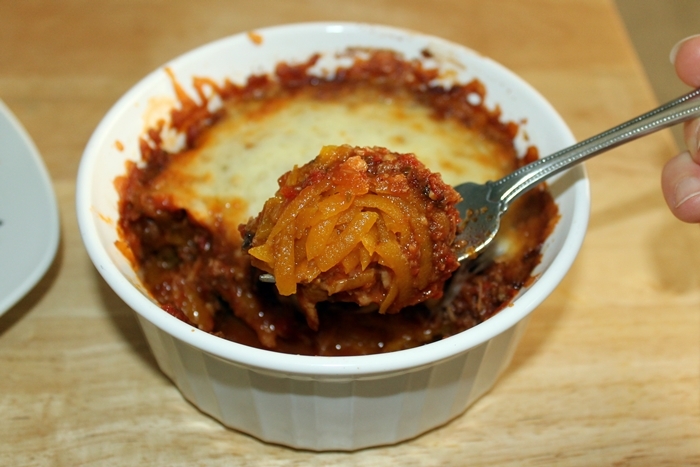 Granted, a lot of the flavor comes from the homemade meat sauce but the combination of the butternut, cheese, and sauce was simply genius. Highly recommended for those of you looking for ways to make Italian dishes without the pasta. 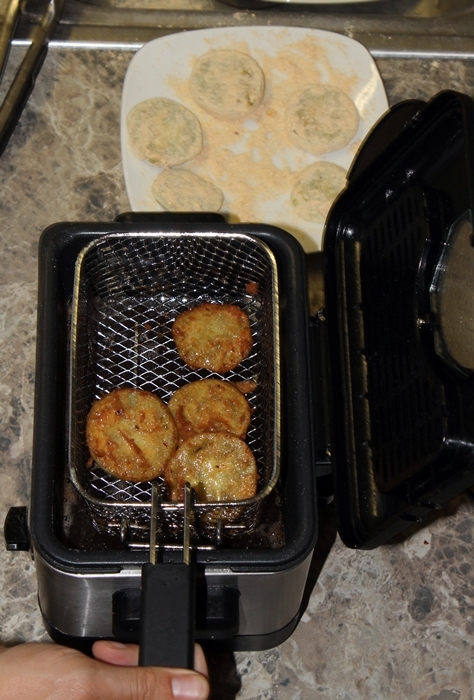 It may come as a surprise to some (but not to most who really know me) that I’ve never had fried green tomatoes before. I thought it was high time to try them. 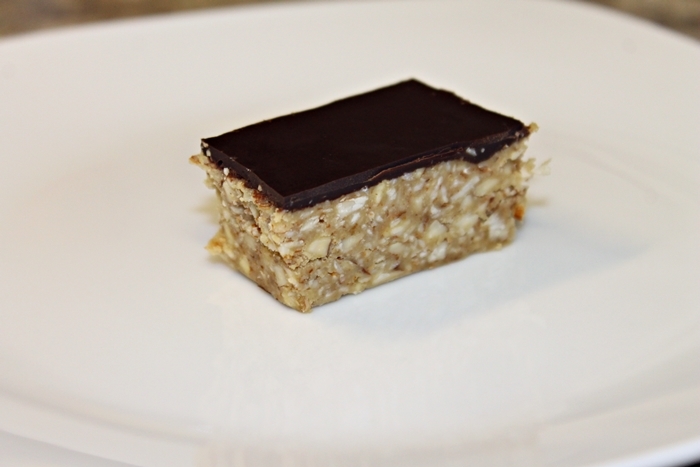 This recipe comes from the Tropical Traditions Coconut Recipe Blog. 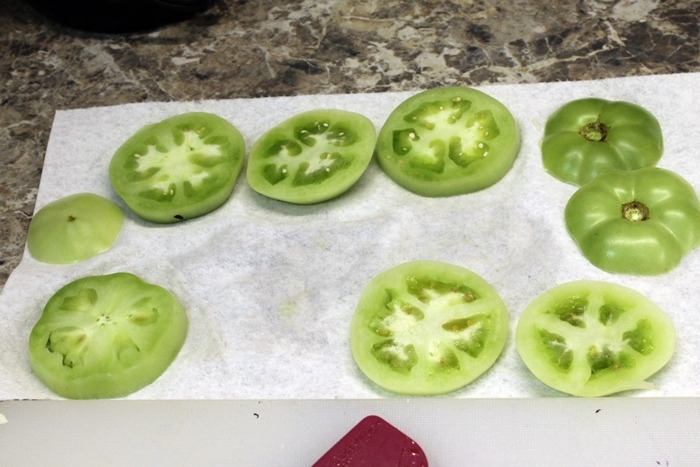 Straight from our own tomato plants! You don’t need much for this simple finger food. 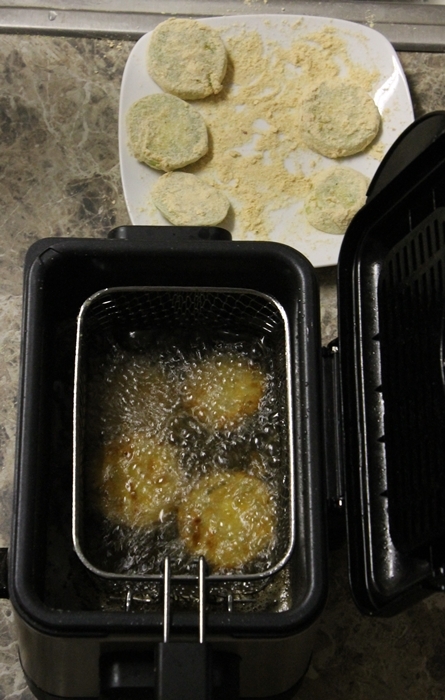 Dredge through egg wash, coat with flour and spice mix, and fry. Easy. Peasy.